June 8th, 2016 I sold my motorbike after 3 months. I had just returned from a 3-week trip to the corners of the north. It has served me through some rough times all over Vietnam. It’s taken me about 7000km’s from Ho Chi Minh City in the south to Hanoi in the north including de-routes to almost every major thing worth seeing as well as the remotest parts of Vietnam. Needless to say, this bike was no random bike to me and although I’m not actually crying in the picture I don’t think it would be inappropriate if I did – it was an emotional goodbye. The end of an era. MISSING: Yamaho Nuovo 2003. Last spotted outside cafe in Hanoi, June 8th 2016. Noticeable marks: Old as hell, makes a lot of noise, has blue spot on front bumper. If spotted please send compassionate thoughts my way and take a moment of silence for this old warrior. Incidentally, looking at the picture now, I just noticed the striking contrast in the background between the new modern hotel to the left and the ruins to the right. I don’t have a bike anymore – what’s next? About two months earlier I had met My, a local Vietnamese girl, in Tuy Hoa about 300 km’s south of Hoi An. One of those places in Vietnam that only sees foreigners on very rare occasions. My (pronounced Mi) was studying to become an English teacher which meant her English was quite good. 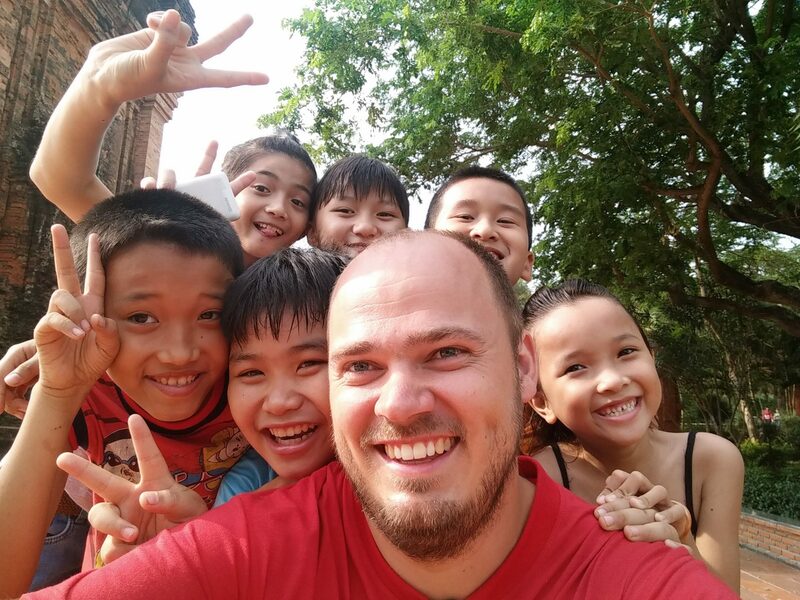 Many Vietnamese, who wants to practice English, try to talk to foreigners whenever they have the chance to practice their English – you will see students everywhere in Hanoi and Saigon doing this. My was no different and on the top of Nhan Mountain, Tuy Hoa she approached me after taking 30 minutes to build up the confidence. Meanwhile, I spent my time talking to an entire primary school class that was also up there. Now, why am I telling you this? Because My had finished her final exams before the degree and had a month before the graduation ceremony. As luck would have it, she was going to spend this month travelling around with me. What this means is that for the next 3 weeks or so (it is tentative when she has to be back) she will be travelling with me. Solo travel is great but not travelling alone certainly has it’s perks. Alright, so back to the actual topic of the headline – what’s next? Cambodia! We booked a night bus ticket (first in 3 months!) from Hanoi to Hoi an – an 18-hour bus ride after which when you’re done all you’ve only really accomplished is switching around a couple of letters (hint: they’re anagrams). Then another 10-hour night bus to Kon Tum. Then a local bus to Pleiku at 6am in the morning. Then, finally, after 4 days of constant bussing, a bus took us from Pleiku across the border to Ban Lung in Cambodia. 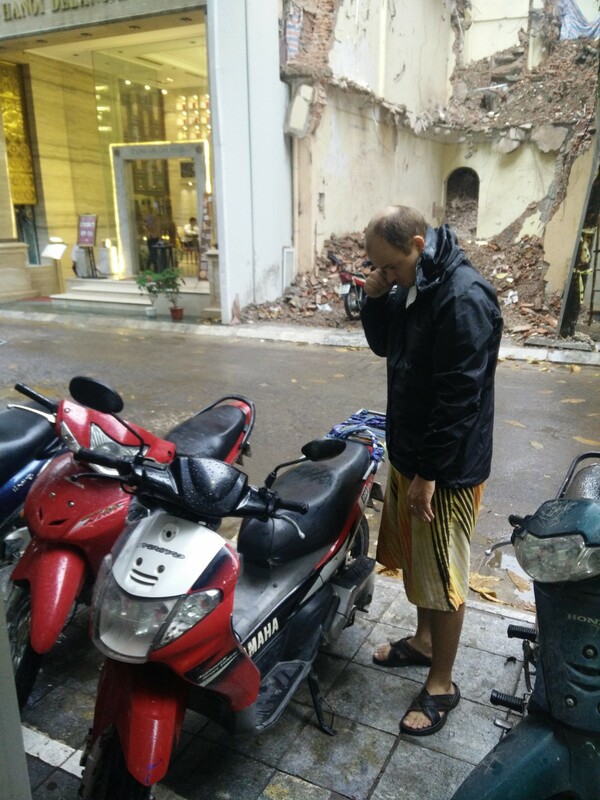 We had crossed most of Vietnam – 1500km. Since My speaks Vietnamese we had a lot of extra options to choose from. For the night bus going from Hoi An to Kon Tum we got picked up just outside Hoi An so we didn’t have to take a bus the wrong way for an hour to Da Nang – the ticket was also half price of what the hostel offered. In Kon Tum we rented a bike, although they don’t really rent out bikes. The 6am local bus from Kon Tum to Pleiku was also only an option because of My. And finally the bus to Cambodia – I would have no idea where to take it from or even about its existence. We got picked up in an intersection while the bus rolled by not even coming to a full stop – we just jumped on. Try to arrange a bus pickup at 8am at some random intersection without speaking the language and no travel agent to do it for you. Easy? think again. I’m not done riding a motorbike. Not by a long shot. 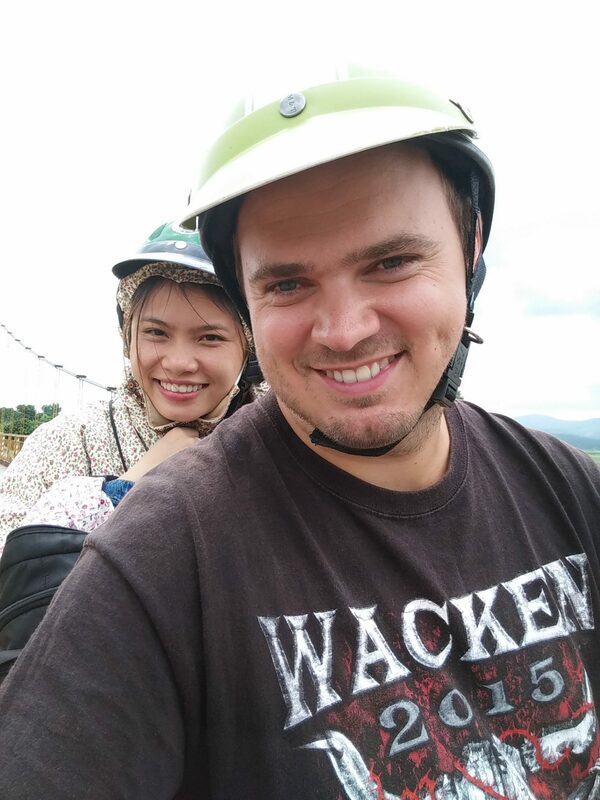 Riding around Kon Tum. Getting a visa was not a problem although less strict borders might have caused us some trouble. My is Vietnamese and therefore part of the ASEAN network – much like Schengen in Europe. She only had to pay $2 and that was it. And that’s how I got my Cambodian Visa. No more problems. Lesson learned – bring $$$. I would later learn that Cambodia runs on dollars, so much that even the ATM’s gives dollars. On June 11th, we rolled into Ban Lung, Cambodia. We had no money, no sim card, no guide book and generally no clue but I’ve been in this situation before so we booked a place for the night and spent the evening getting some food and took care of the basics when arriving in a new country.